Bring a pot of water to boil and season with a half tablespoon of sea salt. 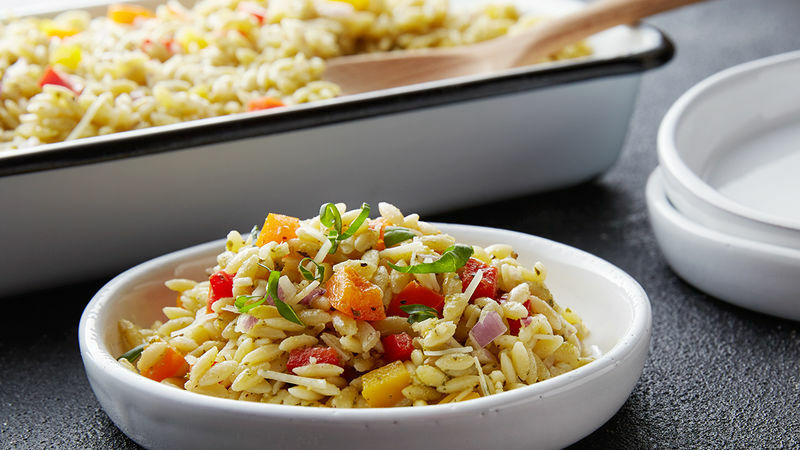 Add in the orzo pasta and cook as directed on the box. Once al dente, drain and add to a large bowl. To the pasta: Add the diced peppers, shallot, pesto, Parmesan cheese, red wine vinegar and the black pepper. Stir to combine.